Alan Rickman created characters bigger than the films in which they appeared, figures who made an impression in the wider culture, and which informed and influenced actors who played similar roles thereafter. Alan Rickman, born 21 February 1946, died of cancer on 14 January 2016, aged 69. Rickman was one of those rare actors who was actually worthy of that much-abused adjective 'iconic'. Most actors would consider themselves fortunate if they could find a single role that gave them such recognition. What was remarkable about Rickman was that he managed it repeatedly. For youngsters, he will always be Professor Snape in the Harry Potter films; the black-clad potions master with a pronounced dislike of wizarding wunderkinds. Older viewers might recall him differently, perhaps for his turn as the oily Obadiah Slope in the BBC's The Barchester Chronicles. Some will even assert that he was at his best on stage—most notably as the Vicomte de Valmont in the stage adaptation of Les Liaisons Dangereuses, for the Royal Shakespeare Company (RSC). That was the role that transformed his career and role which... ah, but we're getting ahead of ourselves. 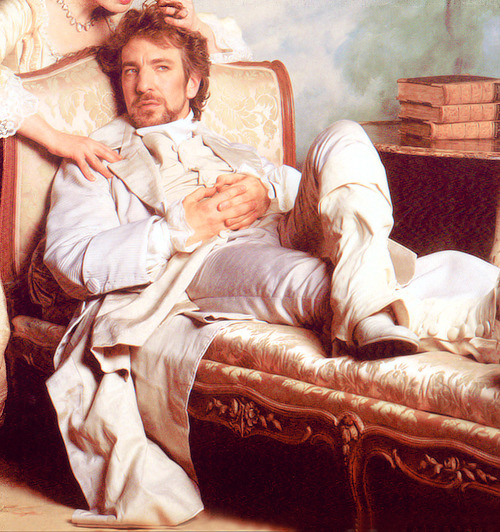 Alan Rickman was born in 1946 and raised by a widowed mother; he'd always wanted to act but had initially trained as a graphic designer upon leaving school, the better to contribute to the family finances (while he projected aristocratic bearing, he was of humble stock). Eventually, things changed and he was able to follow his calling. He worked steadily, mostly on stage and while he was evidently talented—the RSC tends not to employ actors who aren't—he achieved only modest success for the first few years of his career. That would all change when Les Liaisons Dangereuses crossed the Atlantic. Rickman attracted fine notices, even an award or two, but more significant was being spotted by a casting director, then tasked with finding a villain for an action movie. At first, Rickman wasn't interested—what serious thespian would be in such a two-dimensional role? But the money was good and the director promised to listen to the actor's ideas for expanding the role. So why not? The movie was Die Hard, one that deserves to be reckoned as one of the finest action films ever to emerge from Hollywood and it's impossible to underestimate how important Rickman was to the mix. His villain—Hans Gruber—is a sly, witty character and a genuine threat to Bruce Willis' hero. 20 Purrfect films featuring felines! Just as he promised, director John McTiernan listened to Rickman's ideas and encouraged him to go further, even if it meant expanding the script: when it was discovered that Rickman could do a plausible American accent, they contrived a devious sequence where Gruber meets his vest-clad nemesis. Die Hard established Rickman as a master of villainy. It certainly won him the part of the Sheriff of Nottingham in Robin Hood: Prince of Thieves, in which he abandoned any pretence at subtlety (“Cancel the kitchen scraps for lepers and orphans, no more merciful beheadings—and call off Christmas!"). It was a turn that netted him a BAFTA award—Kevin Costner, the film's Robin Hood, was unaccountably overlooked—and should have swiped an Oscar too. As it was, Rickman was never nominated for an Academy award, one of those oversights which will have future generations furrowing their collective brows in wonder. Not all of Rickman's roles were so black-hearted—indeed, it's said he was pained to be so associated with the dark side. He was tender and romantic as the deceased lover (a ghost? A memory?) in Truly, Madly, Deeply and showed a genuine gift for comedy in both Dogma and, especially, Galaxy Quest. 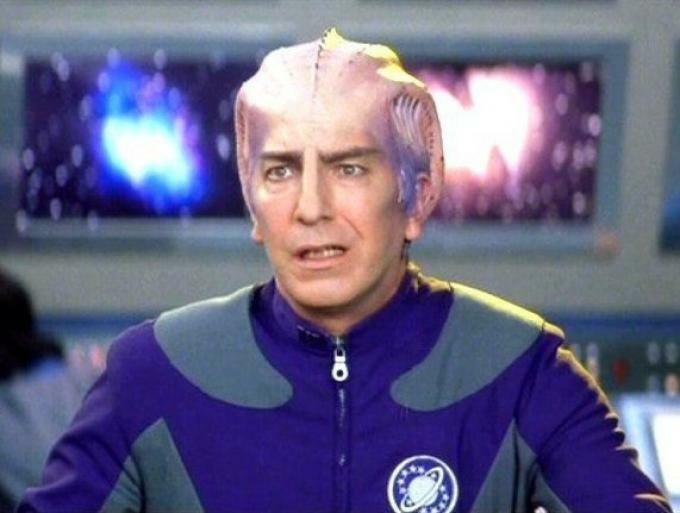 In Galaxy Quest, Rickman is the rarified Shakespearean actor who found fame and fortune as a Mr. Spock-a-like in a thinly veiled version of Star Trek, and who is then kidnapped by aliens who think the show is for real. 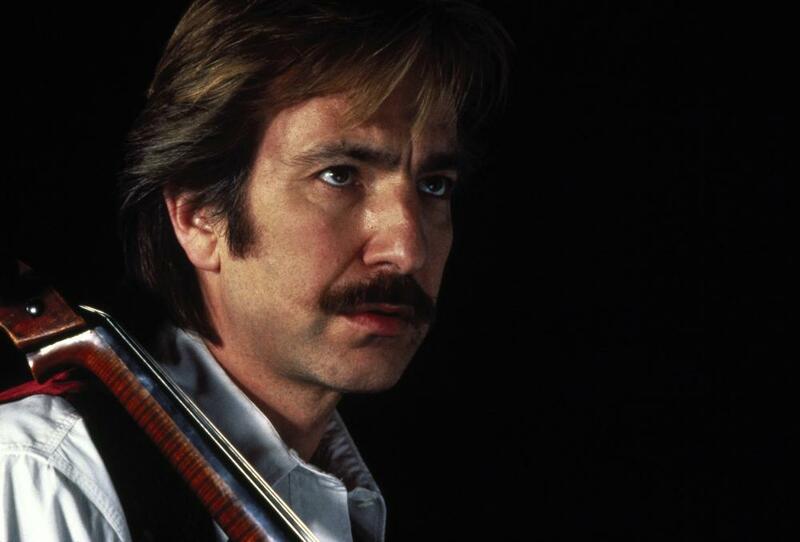 Rickman gives one of his best performances—haughty, exasperated and, ultimately heroic. But then, Rickman always gave good performances. More than that, he always understood what each film required of him. That's why he was always such a welcome presence on screen. That's why he'll be so missed.